When brush rotors in oxidation ditch applications approach their useful life expectancy, a prudent upgrade option is to replace them with Evoqua’s OX™ Disc Aerator. 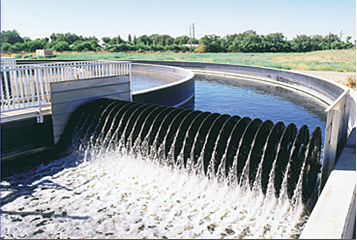 Existing tanks can be used, and disc aerators allow for improved mixing efficiency, lower energy use, simpler operation, and less maintenance. 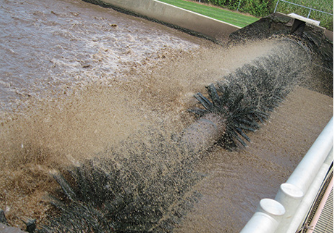 Plants with multiple ditches can be upgraded for improved nutrient removal performance by converting to a true simultaneous nitrification/denitrification process that is enhanced by disc aeration. > Learn more about NEW oxidation ditch components to provide even better performance with reduced maintenance! At Evoqua, we have more than 40 years of expertise in both brush rotors and disc aerators. Upgrading your existing brush rotors or replacing with OX disc aerators can add years of life to your system while reducing operating costs. Are wipes and rags overwhelming your pumps?